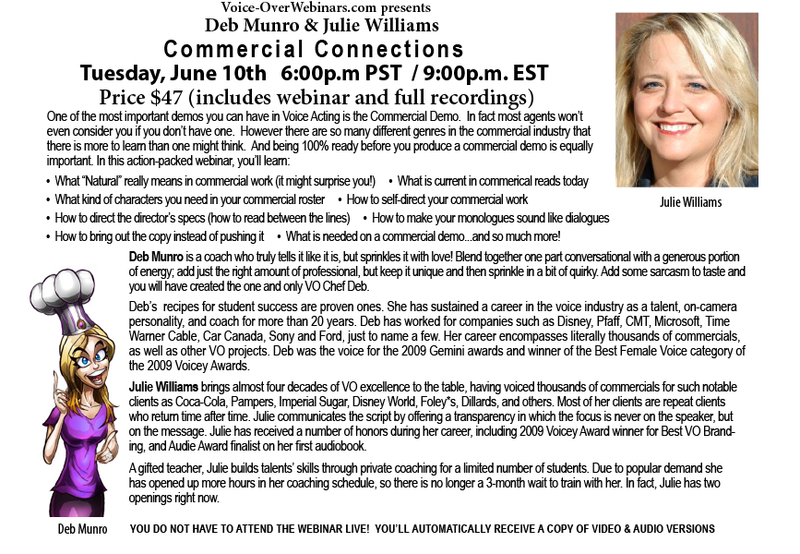 Commercial Connections Webinar June 10th! As a talent herself, VO Chef Deb prides herself to be the coach that she would want, honest and straight to the point, with proven results – so don’t miss this webinar! Each webinar includes a complete recording that can be streamed online or downloaded to your computer.